According to returning star John Boyega, his time filming Star Wars: Episode IX is nearly complete. Furthermore, the actor revealed he had the best time overall working on the highly anticipated sequel to The Last Jedi and The Force Awakens, which will conclude the story that began with A New Hope in 1977. 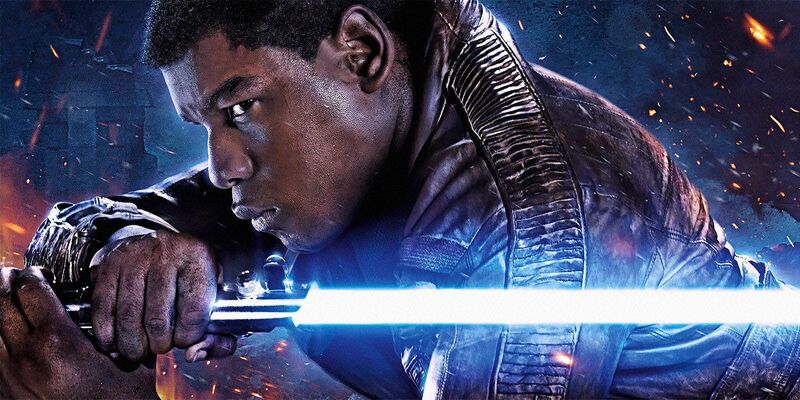 When a fan asked Boyega about how much more filming in London the film had, along with which of the three sequel films has been the most fun, the Attack the Block star said that there was "Just a little more" to go and that Episode IX "has been the most fun by far." Despite the tight security Disney employs to keep details of the movie under wraps, Boyega referenced the filming of a visually impressive sequence on Twitter and expressed in interviews how excited he is to be working on what he believes will be "all-out war." Additionally, the actor hopes the film will explore more of Finn's backstory. Directed and co-written by J.J. Abrams, Star Wars: Episode IX stars Daisy Ridley, Adam Driver, John Boyega, Oscar Isaac, Lupita Nyong’o, Domhnall Gleeson, Kelly Marie Tran, Joonas Suotamo, Billie Lourd, Keri Russell, Matt Smith, Anthony Daniels, Mark Hamill, Billy Dee Williams and Carrie Fisher, with Naomi Ackie and Richard E. Grant. The film is scheduled to open on December 20.